A new colorful, large, and popular Castle Bouncer / Slide Combo with regal blue and red castle towers. Your princes and princesses will want to play in this combo castle for hours on end! A perfect entertainment choice for a royal party event. 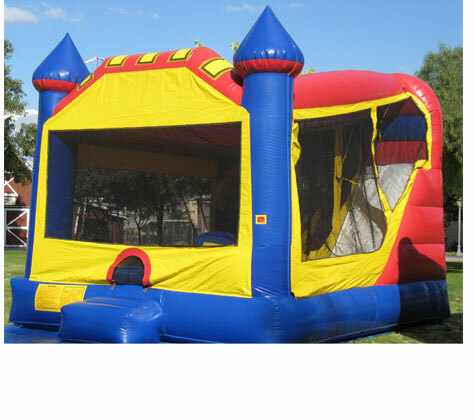 This bounce house combo offers a large interior jumping area, an inside basketball hoop, and an inside climb to conquer with a fun inside slide.